Thank you for visiting our website! 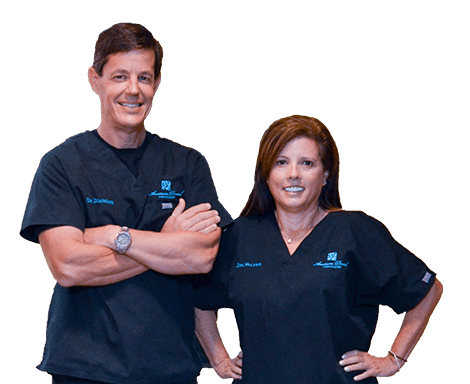 As dentists who have been in St. Augustine for nearly 25 years, we are an established part of the community and take pride in caring for our St. Augustine dental family. We place an emphasis on technology in an effort to offer the best service modern dentistry has to offer. 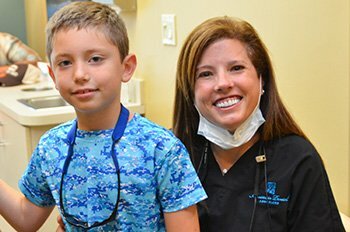 We want to be your St. Augustine dentist! We do one visit caps and crowns. We are the original users of CEREC technology in St. Augustine, and as such have probably done more of these one visit restorations than any dentist in St. Augustine. Our patients love not having to come back to have a crown put in, not having a gooey impression and not wearing a temporary crown (because they don’t need it!). The whole procedure only takes about an hour. We do one visit porcelain veneers. The same technology that allows us to make crowns, allows us to make veneers or any other porcelain restoration. If you have broken a veneer, or are thinking of changing your smile, let us, your St. Augustine dentist, evaluate your smile. We see same day emergencies. If you have ever had a toothache or a broken tooth, you know how painful it can be. We pride ourselves on not leaving our patients in pain and make every effort to see you and alleviate your pain on the day that you call. We do one visit guided implant surgery and restoration. Probably the most exciting thing to happen to our practice in the last year is the technology that allows us to plan and place dental implants virtually, on the computer screen, before actually placing them on you. Why does this matter? Safety and efficiency. The only way to know where that implant is going to be placed is with a 3 dimensional X-ray called a “Conebeam CT scan”, having this technology in our office allows us to place your implant with 100% confidence knowing that we are not near vital structures and will get a beautiful end result. We are the only St. Augustine dentist who has this technology and can do the whole procedure under our own roof. Now your implant and crown can be done in a single visit! From full dental reconstruction including veneers and crowns to Invisalign we can make your smile beautiful. Take a look at some of our patients and their Before and After photos and see what you think. We have had many, many successful and beautiful results. If you want to see what we can do for you, call us for a complimentary consultation. We make it easy to afford your dental care. We have multiple options for financing with well known companies as well as "no interest" payment options. We can help you afford the work that you need. Don’t just take our word for it, look at our ratings on the rate-a-dentist website where many of our patients have left honest reviews of their experience with us. If you would like to schedule an appointment to discuss your treatment, we would love to meet you! Dental Website Design by Prodentite.